Possibly one of the best things we ate on the island. This is poke at its best. 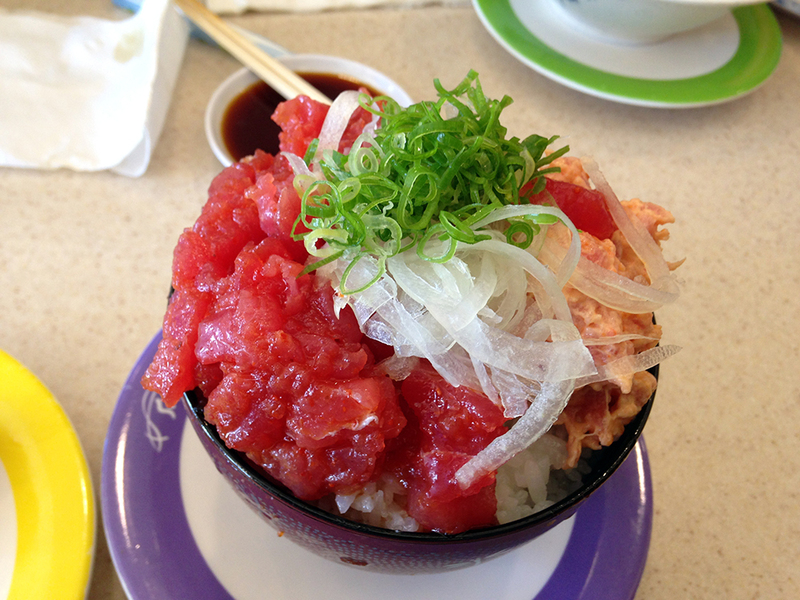 Plain tuna poke seasoned with sesame oil and soy on one side and spicy tuna poke on the other. All over rice. Just magnificent and such a steal.